I love having a safe smell. Something which grounds me when I’m anxious or having a panic attack. Which is why I carry my Trisserland rollerball on me in my crisis kit. You can find out more about how aromatherapy can help your mental health HERE. On bad mental health days, it’s easy to be suffocated by a constant stream of negative thoughts. Sometimes it’s best to just get them out of your head. Talking to someone you trust is essential, but as you can’t carry a mini person in your bag at all times, pen and paper will have to do. Scribbling everything that is on your mind, ripping the paper up and throwing it away can be strangely satisfying. 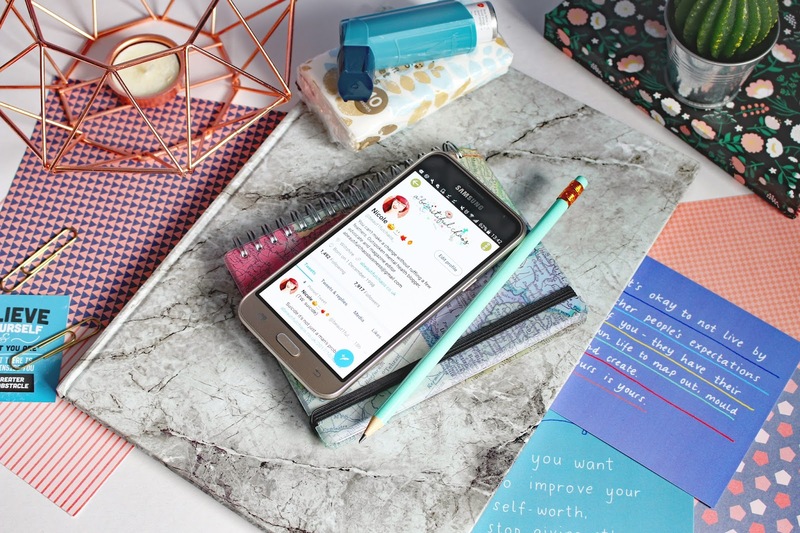 This may seem like such a silly thing to have in my crisis kit, but you will know if you struggle with depression that on the bad days it can be easy to get lost in a cycle of negative thoughts. Thinking that no one loves you, the world would be better of without you etc. Which is why keeping letters and photos from the good times with me is a lovely reminder that my life isn’t always a misery. If I have a panic attack, I can get very out of breath. This is not ideal when you have Asthma. So I always make sure I have my inhalers on me. If you have medication specifically for your mental health, I would definitely include that. When I hit crisis point, I can get very distressed. During this time I couldn’t give two tosses what I look like, but when I’ve managed to pull myself together, black circles around my eyes and tear marks on my cheeks are not the look I’m going for, so it’s important to me to have something to clean myself up with afterwards. When I reach crisis point or even if I’m just having a bad mental health day, I cry A LOT! And when I say a lot I mean a lot. Which is why I need as many packets of tissues as humanly possible in my mental health crisis kit. Kind of like the headphones, it’s rare you will ever see me leave my house without my phone. My phone is such a key part of my mental health crisis kit. Not only does it give me access to support from my friends and family with just a few clicks. It also means I can be distracted. YouTube is my best friend when it comes to being cheered up thanks to this mornings comedy gold bloopers. That’s it! Am exclusive look in mental health crisis kit. I hope this has inspired you to create your own. Don’t forget all this stuff works for me. It may not work for you. Let me know if you would want a post of ideas of what to include in a mental health crisis kit. What do you include in your mental health crisis kit? Let me know in the comments below! 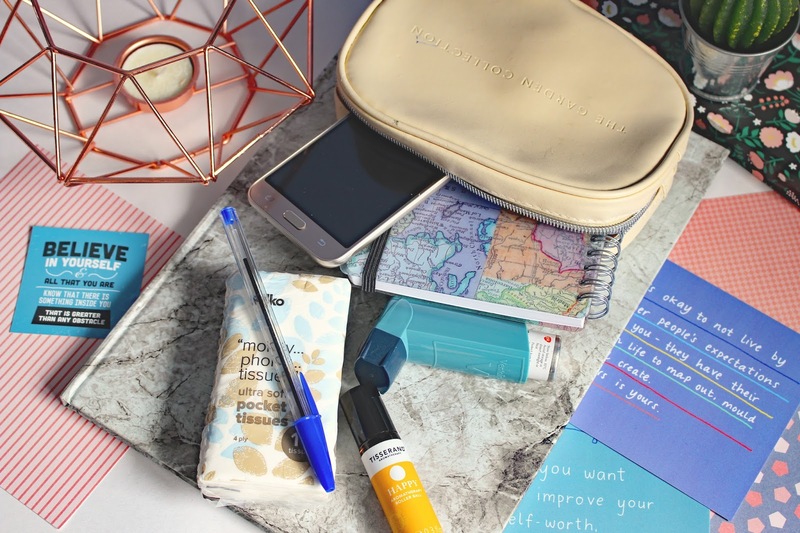 Can't believe I've never heard of a mental health crisis kit before, what a brilliant idea! I have meds that I now carry around with me everywhere I go, just incase I have a panic attack or am feeling extremely anxious. It would make sense to get myself a lil kit, and pop them in there alongside some other essentials. Brilliant post Nicole!